At L'Oreal, the largest cosmetics-only company in the world, they have made cosmetics the focus of all their energy and know-how for nearly a century. 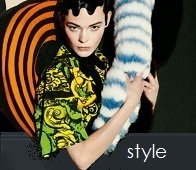 Their brands include: Lancome, Giorgio Armani, Biotherm, Helena Rubinstein, Shu Uemura, The Body Shop and others. Shiseido is the oldest cosmetics company in the world, and the world's fourth largest cosmetics company. It was the first to develop softening skin creams and lotions, still found today at its cosmetics counters. Revlon, founded in 1932 by Charles Revson, brother Joseph and chemist, Charles Lachman, the "L" in Revlon, began with a single nail polish. Revlon's world-wide stature as a leading mass marketer of beauty products, cosmetics and fragrances earned it iconic consumer branding. In 1954, Mr. Jacques Courtin-Clarins decided to "take beauty seriously" and opened his first beauty institute in Paris offering women personalised treatments and advice. The experts in beauty using plants, Clarins Laboratories take the most powerful active ingredients from plants to give both women and men the very best Nature has to offer. 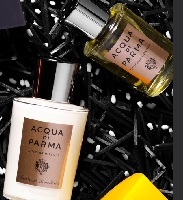 The quintenssence of Italian savoir vivre, Acqua di Parma has a tradition of understated luxury, and hand-crafted products from highly selected materials. Its product line includes its original cologne and other fragrances, as well as talcum powder, soaps, shaving cream, shower gell, body cream, body lotion, exfoliating facial gel, italian resort body scrub and regenerating body cream. 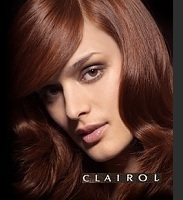 America's premier hair color brand, Clairol continues to innovate. Enjoy 100% gray coverage with radiant color that lasts up to 8 weeks with NEW Natural Instincts Vibrant. Or try Natural Instincts for a subtle change that lasts up to 28 shampoos. Garnier has an extensive product line of skincare, bodycare, suncare, haircare, haircolor and deodorants. 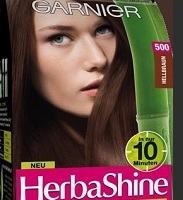 Garnier is a mass-market cosmetics brand of L'Oreal, the huge French conglomerate. 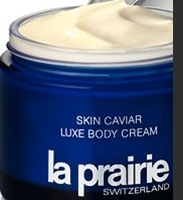 Laboratoires La Prairie traces its proud heritage to the highly renowned Clinique La Prairie in Montreux, Switzerland. La Prairie has been the birthplace of extraordinarily effective products that help manage the skin aging process, renowned both for the scientific integrity of its products and for its unparalleled commitment to perfection.